Dunbar and Boardman: Why use a consultancy for Façade Access and Building Maintenance Units? Why use a consultancy for Façade Access and Building Maintenance Units? 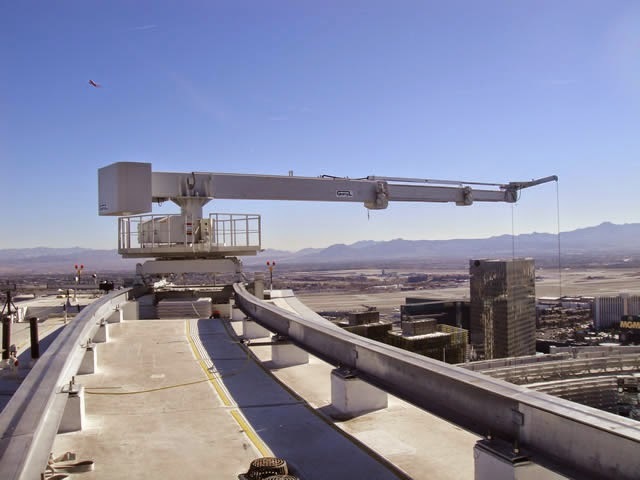 Creating Façade Access systems and deploying the correct Building Maintenance Units (BMU) or Mobile Elevated Work Platform (MEWP) is specialised work that requires both project management experience and a detailed knowledge of the technology and technological advances in the industry. The requirements of each building will be different and very often are complex. This complexity is one of the reasons that companies around the world choose to work with a specialist consultancy for Façade Access & BMUs. The other major reasons are listed below. The development of a Façade Access solution is a long term process and the building maintenance strategy will be ongoing over the life of the building. It is essential that a maintenance strategy is considered and incorporated into the initial building design and implemented during the construction phases. The maintenance programme and longevity of the equipment must be considered. A consultancy will be able to achieve all of this and enable the facility management team to use the maintenance equipment for a minimum of 25 years. When creating a schedule of Façade Access and selecting the most suitable solution a key objective will be the need to optimise the usage of the access equipment, as well as the operability of the Façade Cleaning Equipment (FCE). By choosing a consultancy to manage the process a company reduces the risk of making a poor choice, in addition the consultancy will carry professional indemnity insurance to give further peace of mind. If a developer or client were to approach a manufacturer directly there is a real chance that they would be guided into the purchase of one of the manufacturer’s existing product solutions. An evaluation based on the commercial interests of the manufacturer would be undertaken; rather than the comprehensive and unfettered approach taken by a specialist consultancy. Using a consultancy ensures that the best solution will be sought and found. A consultancy can set up and manage a formal tender process with 3 or 4 bidders and invite them to submit a tender for the project. Following post tender evaluation the most appropriate solution and supplier can be chosen. The final decision and award of the contract will be based completely on merit. Consultancies are aware of industry norms and charging rates and therefore have a stronger hand when it comes to negotiating commercial contracts. Using a consultancy could save you money in the short and long term. Naturally the possibility and scope of any saving can only be assessed on a case-by-case basis. A consultancy will be able to create façade-cleaning solutions that minimize the impact on building design and meet the highest safety according to EN standards. Furthermore they will be able to ensure that the equipment is provided within International Quality & Safety Standards and that health & safety requirements for the particular environment are met. Dunbar and Boardman is a specialist consultancy that has provided global clients with bespoke solutions for façade access equipment and BMUs for over 30 years. Do you have a current or planned project that would benefit from our expertise? We would be happy to discuss with you. Give us a call on T +44 (0) 20 7739 5093 or send us an email via peterboardman@dunbarboardman.com to start the conversation. We look forward to hearing from you. What have we done to enable Equality Access?